During residency time, invited Artist(s) will be living in a house named ’Got-Bang’ and having a working space 2mins away from the Got-Bang. The Got-Bang is a former bedsit for machinery workers from Japanese colonial times with ground floor (a kitchen and a toilet/shower) and a bedroom upstairs. Artist(s) meets the life and regional history in the industrial port city where used to be shelter for factory workers and Korean War refugees. 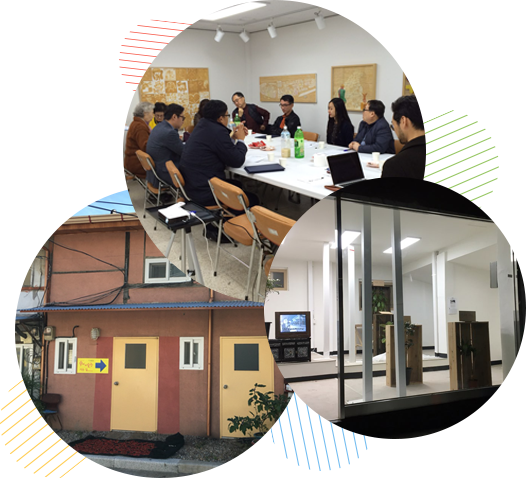 Artist(s) will be encouraged to confront the post-colonial life of Incheon people and their life controlled by domestic development plans.